Today I want to tell you a bit about myself. Large part of the methodologies I developed is embedded deeply in the years of my youth. When I think about it, I understand that the “buds” of the talent methodology were embedded in such early stages of my youth that I do not remember when that methodology was not an integral part of me. I was born in the town of Kfar Saba in Israel in 1956. My father was a music teacher and my mother took care of the children in a well known school for gifted children. The first thought that “springs” to my mind concerning my parents and my youth is: love. I was a child that felt loved and wanted. Ever since I remember I walked around with a feeling of belonging and complete security. Today, when I as well am the father to children I understand how much I “owe” my parents! Were it not for them I would not have been able to develop the mental strength and the ability to become stronger and grow out of crises. From here I send them a worm and loving hug and thank them especially because all by themselves and without taking advice from psychologists or other professionals they understood the two basic principals of children education: love and complete acceptance. My father was a devoted music teacher, I who adored him very much, remember my self at the age of 4 setting up all the dolls in my room along the walls and teaching them. The dolls were a wonderful audience because they listened and did not disturb me during my lesson. It was very easy for me to love and get in touch with such “attentive students”. At the age of 6, and with two years “seniority” in teaching, all excited and full of expectations, I reached the first grade. To my surprise I was disappointed! I couldn’t understand why the teacher’s speech was so monotonous or why she didn’t seem to be enjoying the lesson. Where were the love, respect and unlimited patience towards each pupil? Naive, and full of self confidence, I approached my new teacher as one old colleague to another, ready to instruct her how to teach us. I still remember our conversation today, “that’s not how you teach, Aliza! You are boring us terribly I have thought about this and decided that I am ready to help you teach!”. Needless to point out, Aliza reacted angrily. Astounded by my cheekiness, she told me to go back to my seat and to “know my place”. But I didn’t and I couldn’t understand. I really and honestly felt that I could help her to fascinate us. Why does she seem to be angry with me, or could it be that I am imagining that? After one more time in which I offered her my help, she probably felt that this had gone too far: “Opher Brayer, you are a silly child and I ask you to be quiet”. I was deeply hurt. To myself, I decided to stop talking during her lessons and all other lessons as well. Despite my will, during the later years and up to the end of the seventh grade no teacher managed to fascinate me. Instead of spending my time in scholastic studies I went on to extra-curricular activities. My parents agreed to inscribe me to nearly every extra-curricular activity in Kfar Saba. The diversity of these activities was immense: Chess, Football, Judo, Karate, Ping pong, Building of models, Piano, Ballet and Step dancing. I also spent a lot of time in Kfar Saba’s public library. 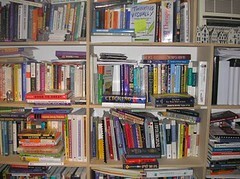 I read more “General Knowledge” books, and less books of fiction. I was fascinated by the new worlds that were opened up to me. I could not imagine receiving so much satisfaction and interesting knowledge from school. My friends in my neighborhood went on to higher classes and complained to me all the while about how boring and frustrating those studies were. How could I tell them about all the new experiences I had amassed in my studies? My fascinating trips “all over the world” whilst seated at my table in the public library? I spent more and more time on my extra-curricular studies. The more time I spent, the more my performance improved. I gained a lot of respect from my parents, friends and instructors….